Before the first architectural plans were drawn, before dignitaries gathered to break ground, the Biomedical and Materials Engineering Complex was conceived with its users in mind. Undergraduate and graduate students, faculty members and support staff were consulted for their feedback: How can modern classrooms empower students through experiential learning? How can building design lead to desired research outcomes—with potential for commercialization of intellectual property and translation to clinical applications supported at every turn? The result? A paradigm-shifting facility that promotes 21st century teaching and learning, unmatched in its capacity for innovation and collaboration. 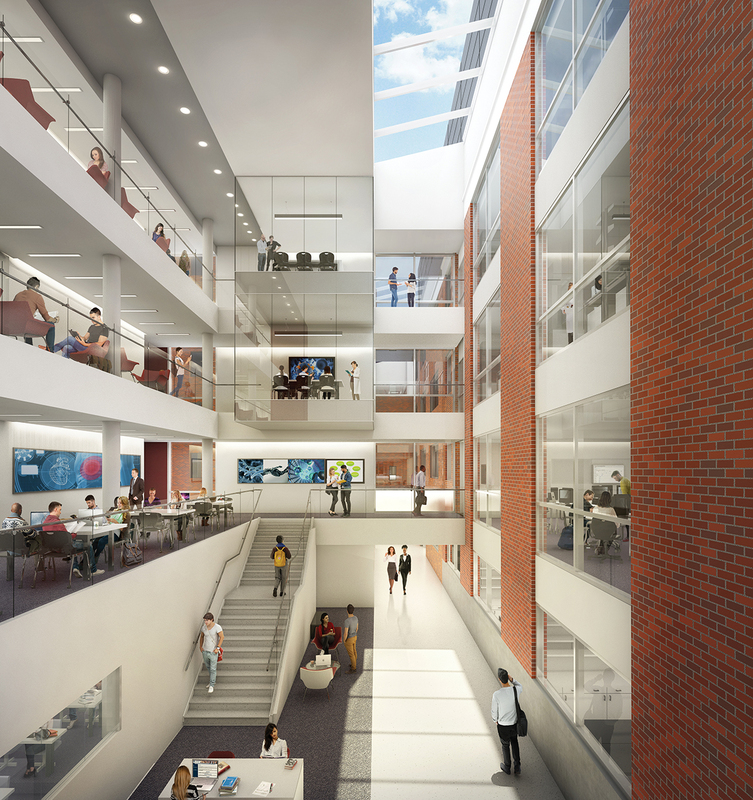 When phase one of construction is completed and doors open in 2020, the Biomedical and Materials Engineering Complex will be poised to transform the spaces where students, faculty and partners learn and innovate. Beyond the natural collaborations between the Departments of Biomedical Engineering and Materials Science and Engineering, the close proximity to other campus collaborators will lead to life-changing material innovations impacting health, transportation, energy and more.